Luis Mazano with complete name Luis Philippe Santos Manzano was born on April 21, 1981 and is famous for his nickname in Philippine television as “Lucky.” He is a Filipino actor, product endorser, tv host and VJ. With his jolly personality especially when hosting in television, Luis got the approval of the audience. Well, he is the son of Edu Manzano and Vilma Santos who are both famous and award-winning in the showbiz industry. Luis studied in De La Salle–College of Saint Benilde in Malate, Manila, taking Hotel and Restaurant Institution Management. Right now, Luis’ step-father is Senator Ralph Recto. 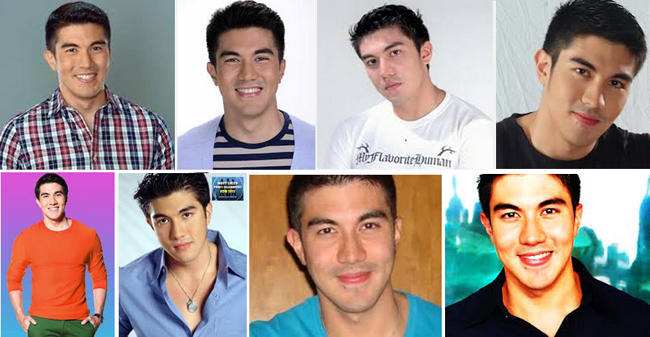 Luis Manzano has a very promising career. He has been with ABS-CBN since 2003 and got a lot of breaks both in the television programs and films. Among his television programs are MYX wherein he became a VJ for a long time, Star Circle Quest host, ASAP, Bora, Qpids, Kampanerang Kuba, Your Song, Komiks, Pinoy Big Brother host, Crazy for You, Minute to Win it, The Voice Kids and many more. We can list down a lot of appearances in televisions for Luis aside from the movies where he appeared. Some of the said movies are All About Love, Ang Cute Ng Ina Mo, In My Life, Hating Kapatid, Petrang Kabayo, Praybeyt Benjamin, Starting Over Again and many more. He has so many achievements in life aside from being blessed to belong in a prominent and influential family. Luis’ current issue is with her girlfriend Angel Locsin. There were interviews from The Buzz on the previous months about the confirmation of their going back together. There was no exact words that came from Luis with regards to their being together again except when he admitted that he was communicating once again with Angel after being silent for a long time. Hayden feel sorry what happen on that scandal, I'm glad that he is finish that punishment. they must be punish for doing something bad to for that young guy or my be that guys what to get friends on join some fart group? Anycase this is wrong. yan talaga trending, planning make star dead so they can get massive traffic at the affiliate problem they promote with. This article is almost the same us the mcdonals chicken(fired chicken head) I recall, the costumer won the case. then the company paid 150,000$ for the bad service. Hindi lahat ng tao ai perfecto lahat tayo may kasalanan din so sa opinion ko ok lang naman ibalik ang license nya give him another second chance. Evelyn Sia should file a legal action against Shopwise's management for this untoward incident. I could just get a cockroach and insert it in a loaf of bread. This incident should be verified well for both parties. I just saw Aga Muhlach breathing on television. Who's next? Charlene Gonzales? The intention of Fr. Romeo Obach is good, but the way he delivered his message is offensive. It's how you say things that really matter. Yes, I believe Hayden Kho suffered enough for that incident. It was unfair that he was punished alone but not the uploader. Give the man a break, he seems to be nice a person with some perversion he he he. We all have our skeleton in the closet.